Download the best free data recovery ,Wise data recovery .Recover photos , word and email files .Learn how to recover deleted files from USB flash drives . Wise Data Recovery is one of the professional data recovery software. Wise Data Recovery allows you to recover files such as photos, word documents, email and text that have been deleted .Wise data recovery can recover files from hard disk ,external hard disk and usb flash drive . Wise Data Recovery software can be used to recover deleted files from USB flash drives, memory cards and MP3 players.Wise Data Recovery tool not working with FAT drives but work good with NTFS drives .Wise Data Recovery have an excellent and simple program interface i have ever seen ,no menus ,boxes . First you must download Wise Data Recovery software from the download links in the bottom of this article . Install Wise Data Recovery tool , Choose the setup destination folder from browse then click Install then wait until finish installing the software in your computer . Open Wise Data Recovery software then choose the drive that you want to recover deleted files from it . Click Scan to search about all deleted files in your Drive . After finish scanning , choose the files that you want to recover it , then click Recover . Wait until finish recovering your deleted files ,open the saved folder then open recovered files .Congratulation now you recovered your deleted data for free. 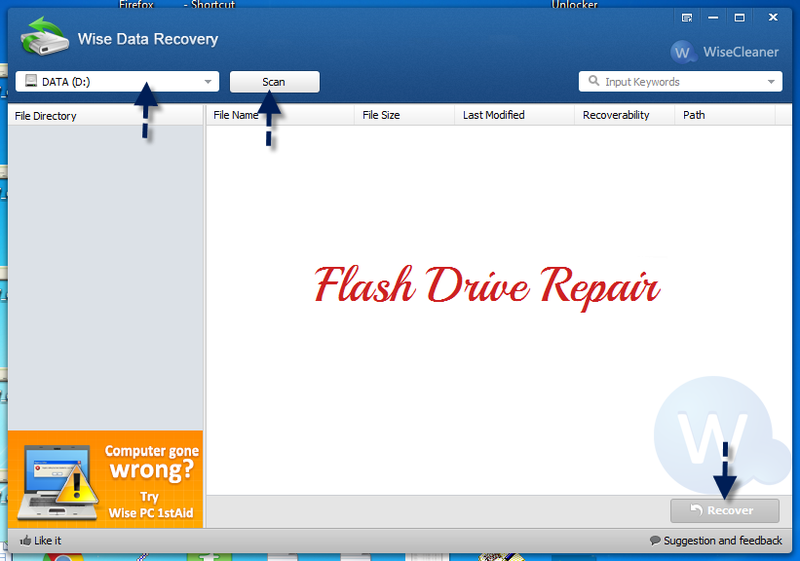 You can recover deleted data from USB flash drives by choosing the Flash drive , then repeat the previous steps . Also you can check free Data recovery Software articles from here " Free Data Recovery Software" . 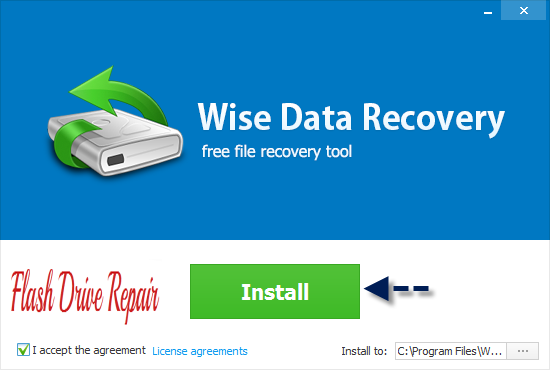 Download Professional data recovery "Wise data recovery"